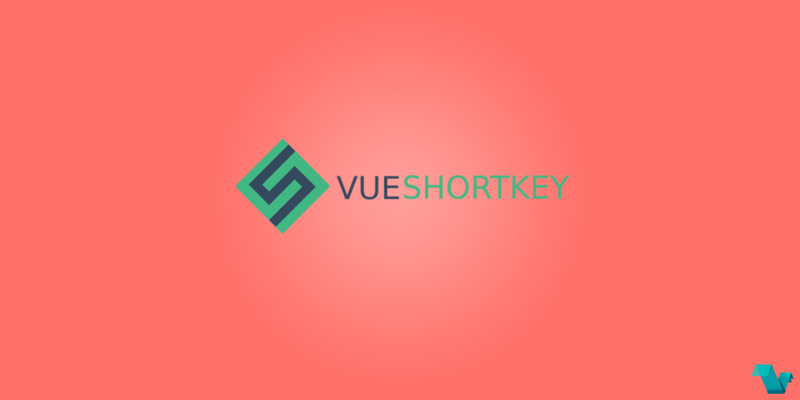 The Vue-ShortKey Plugin offers easy implementation of keyboard shortcuts to fire any events even with large combinations of keys and providing modifiers. To start working with the Vue-ShortKey Plugin use the following command to install it. The code below ensures that the key combination ctrl + alt + o will perform the 'dialog' method. The above example has a flaw, the function in the modifier @shortkey will be called repeatedly while the key is pressed. To call the function only once, use the once modifier. You can also point the focus to let's say an input, using the focus modifier. When using on a component, use the modifier .native to catch the events. For all the available shortcuts and their combinations check the Key list. More options are available here, like avoiding shortcuts within fields & other uses. That's it!